There are a few companies that come to mind when people talk about adventure motorcycle accessories. Outback Motortek is one of those companies that people naturally talk about in high regards. I started following O.M. a few years ago when I was looking for tougher after market parts and fell in love when they released a video (link below) of them dropping a Honda Africa Twin equipped with their crash bars to make the point that their products are tough. They are continuing that tradition by releasing a new center stand for the Honda Africa Twin. We’re excited to get see and read about real world reviews. 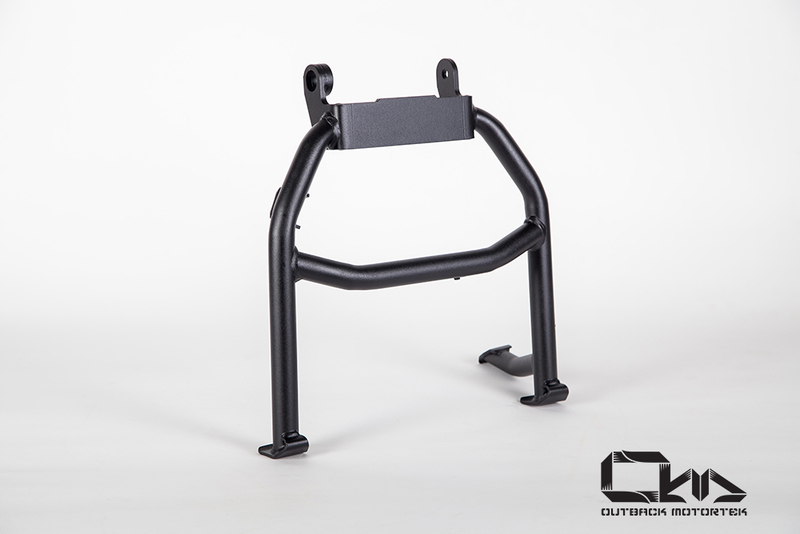 Outback Motortek Honda Africa Twin center stand. looks strong. what's the price point? Where do those nasty two springs link up to the frame? is there an install video for this stand?